Tortured Love follows the meandering life of one individual and his bizarre effect on a handful of people. The reader will acknowledge the ever changing pattern of the world and how a personal influence can incite everything from suicide and murder to love and romance. There will be a tidal wave of emotions from happiness to disgust as violence; retribution, regret and happiness are explored with a veritable force. This unique journey will be enlivening and disheartening in equal measures, concentrating on a colourful array of characters from psychopaths to poets and their parallel coexistence. 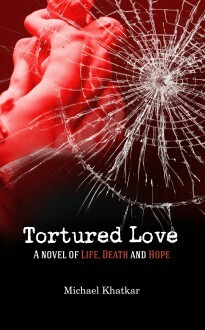 Tortured Love is not for the faint of heart but then neither is life itself. I will torture love and kill your infatuation. This is my future, this is my destination. There will be pain but you will cherish the gain. For the love you crave, you will eternally be my slave.